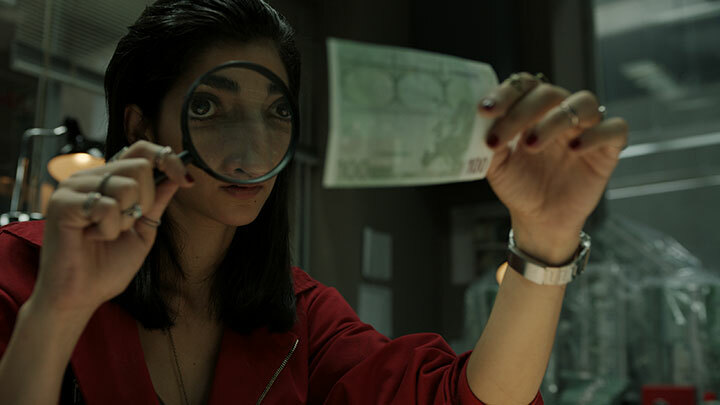 Alex Pina and Esther Martinez Lobato, the creators of Spanish mystery La Embarcadero (The Pier), discuss making the series – their follow-up to 2017 breakout hit La Casa de Papel (Money Heist). 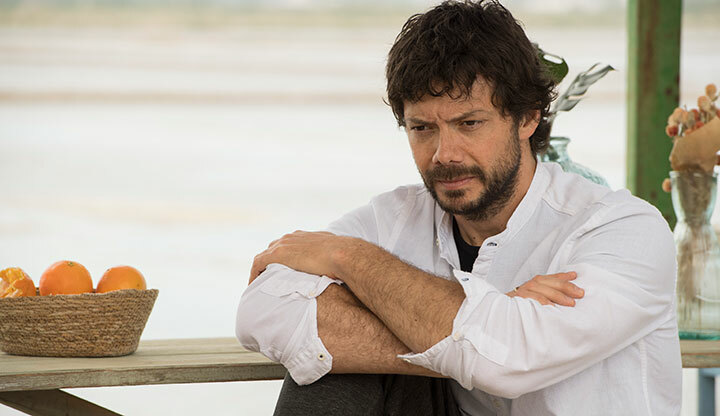 Álvaro Morte, the star of Spanish breakout drama La casa de papel (Money Heist), reunites with writers Alex Pina and Ester Martinez Lobato for polygamous mystery drama El Embarcadero (The Pier). The eight-part series tells the story of high-profile architect Álexandra (Verónica Sánchez) who, shattered by the suicide of her husband Oscar, discovers he had been leading a double life with another woman, Veronica (Irene Arcos), and their child. Knowing she will either go insane or get to the bottom of the mystery, Álexandra approaches Veronica. At first she wants to tell her about Oscar’s death, but instead she decides to befriend her under a false identity to find out why Oscar, though sincere in his love for Álexandra, lived this lie. What really happened that fatal night when his life was taken? El Embarcadero is a Movistar+ original series produced in collaboration with Atresmedia and Vancouver Media. It is distributed internationally by Beta Film and will debut in Spain in 2019. Here, creators and writers Pina and Lobato tell DQ about developing the series, their collaborative writing process and reuniting with Morte. How would you describe The Pier? Lobato: It’s an emotional thriller, where the questions asked by the protagonist, Alexandra, provoke a radical change in her life, in her way of thinking and feeling and, above all, as a woman. She dares to make the same trip her late husband made in search of answers, of something that makes her understand why Oscar was with another woman. This makes her go on a fascinating journey of personal improvement where she frees herself from prejudices. What were the origins of the series? Why was this a story you wanted to tell? Pina: We wanted to tell a character-driven story, as we always do. On this occasion, it’s different from a thriller, crime or prison genre – from any other genre, really. The actors suffer because they have the camera on almost all the time – it’s a series that does not let them lie. We wanted to look at the psychology of someone who faces two milestones that happen in her life as a tsunami – the death of her husband, whom she adored, and the revelation that he had another relationship. Lobato: The challenge was to change the prism, the filter and the perspective, and to write these wonderful characters without judging them. It has not been easy. On the contrary: it has been very complicated to make them speak, to feel, with emotions that are vaguely different from those we are used to every day and in every corner. How was the show developed with Movistar+? Lobato: It was a very easy working process. Everyone involved was supportive. The help of creatives and producers has been fundamental. Nobody knew that it would be as difficult and stimulating to embark on this project, but they still did it and joined our work. Why did you decide to reunite Álvaro Morte after working together on La Casa de Papel? Lobato: Álvaro has two or three million powerful reasons to be involved in any project. He has something that is very difficult to find, and that is a personal virtue beyond technique, talent or its acting qualities: he is capable of whitening everything. With his look and his lips, the tricky and complicated phrases are simply nicer. It was essential for the project to find someone who could be a ‘white-eyed’ polygamist – someone who really transmitted a love story with two women that would overcome him in a real way, without having the smallest doubts when you saw him. Álvaro is that person. What was your writing process? Was this different to your other series? Pina: The hardest process in this series was to know what story we wanted to tell. When you work on a genre project, you are constantly protected by the effect, of whatever kind. You change the emotional sequences to sequences with pistols, bombs and police investigations. We came from that genre, and we had never faced something so profoundly mundane as telling the story of a simple infidelity. But of course, a ‘simple infidelity’ did not fit us. And there began the problems with the tonality – where to set the focus, how to make transgression with a tagline so common or unsurprising as “when the husband dies we discover that he had a mistress.” We looked at each other for weeks until we found a direction for the series. After that, the writing went like a shot. What is the visual style or tone of the series and how did you achieve this? Pina: We always search for a project that has a powerful and inherent identity that is consistent with the narrative style and where the content and is complemented in an organic way. In this case it was the emotions and the feeling. We thought about summer movies, the kind of movies that remind you of holidays, bicycles, beaches and sunsets. And that was the idea in origin – a stylised and scenic reality in the background and a few close-ups so that the emotion of the character somehow breaks the barriers of the screen. What do locations including Valencia and Albufera bring to the atmosphere of the series? Lobato: They provide an identity. The landscape of the Albufera is very particular, even emotionally, and the contrast with Valencia was perfect, since the city offered us a vertical landscape compared to the horizontality of the Albufera and its beaches. In Valencia there are buildings, there is height, there is an identity thanks to the architecture of Calatrava. It is a city well known in Spain but little portrayed in fiction despite having a very marked idiosyncrasy, with its own character, food and wildlife. All this is reflected in the series and gives it a very special flavour and a sense of reality and beauty at the same time, which is very interesting for us. We always look for the idea of contrast in the series – what you are and what you want to become, the town and the city, what is good and what they say is wrong. We find this duality in Valencia and the Albufera. What were the biggest challenges you faced during development or filming, and how did you overcome them? Lobato: The feeling of summer and the reflection of the landscapes of Albufera are things we fell in love with from the start. It’s this area where the rice fields remain flooded for several weeks and look like mirrors that border the sky – or so we thought. When we got to film, we found the weather does not understand schedules. The first few days of filming, the team was waiting for the sun to come out, for the clouds to pass and we kept asking ourselves, ‘Why is it not hot in May?’ Also, because summer weather started later this year, farmers didn’t flood the rice fields on schedule. And we couldn’t shoot all the landscapes you will see in the first section of the series until a week later than planned. The start was an absolute disaster. What has your reaction been to the success of La Dasa de Papel since its launch on Netflix? Lobato: We were baffled at the beginning and very thankful later for all the affection and the interest. Money Heist was designed by a few creatives who had left their previous jobs to try to be independent. We wanted to make a very small project in a simple way; we wanted to cross lines we couldn’t cross in previous projects, in terms of narrative and structure without any intermediaries. We did it, closed it and then we left. And then Netflix came and took the series to places in the world where we had not imagined it would be able to fit into the people’s lives. But there it is. It became very big in the end. This allows us to continue here, and that the idea of quitting our jobs was not crazy, it was an opportunity. Lobato: Right now we have three on the table: White Lines, with Left Bank, and Money Heist 3 and Sky Red with Netflix. There are some others. Maybe, after the calm of The Pier, for me, the time has come to take up the guns and return to action. La Casa de Papel (Money Heist) is a certified phenomenon after Netflix revealed it was the streamer’s biggest non-English-language series ever. DQ hears from creator Alex Pina and writer Esther Martinez Lobato about making the Spanish heist drama. When Netflix published its earnings statement for the first quarter of 2018, there were plenty of headline figures. Revenue growth of 43% year-on-year, the fastest in its streaming history; more than seven million new subscribers worldwide; and confirmation of a US$8bn content budget for the year ahead that would be spent on a dizzying array of series, films, unscripted series, documentaries and comedy specials. The same period also saw the launch of new series including The End of the F****** World and Altered Carbon, plus the return of shows such as Marvel’s Jessica Jones, Santa Clarita Diet and A Series of Unfortunate Events. 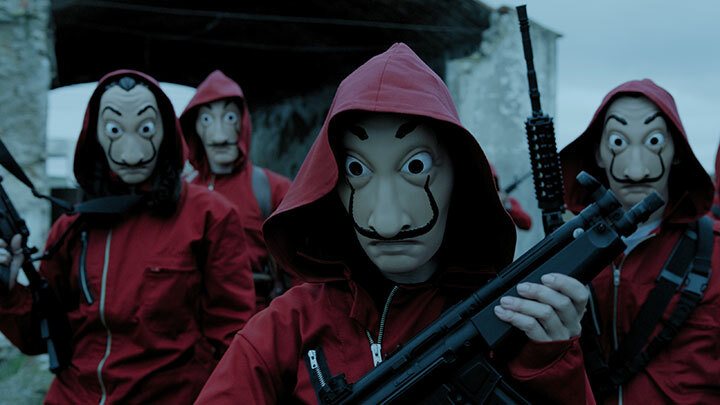 And while Netflix continues to expand its production line of international originals, among them Brazil’s O Mecanismo (The Mechanism) from Narcos creator José Padilha, the report also noted, with little fanfare, that Spanish drama El Casa de Papel (Money Heist) had become the most watched non-English-language series on Netflix. Quite a feat when you consider Narcos, Babylon Berlin, Fauda, Suburra, Generation War and Rita are among the slew of international shows available on the streaming platform. The series, one story split across two seasons (or ‘parts’), first aired on Spain’s Antena 3 in May 2017. It tells the story of the mysterious Professor, played by Álvaro Morte, who assembles a crack team of criminals with one goal – to break into the Royal Mint of Spain in Madrid and print €2.4bn (US$2.8bn). 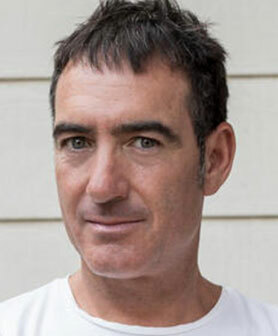 Creator Alex Pina says he was keen to bring the heist genre, a constant in the big-screen world, to television but admits getting the project off the ground was a bumpy road. “The TV channel wasn’t convinced,” he says. “And we were producing so many chapters with only one heist, which takes place in the 15th minute of the first chapter. There were 1,000 minutes of fiction, 137 hours of action, and we wanted to make it very fluid, so the only solution was to use flashbacks. 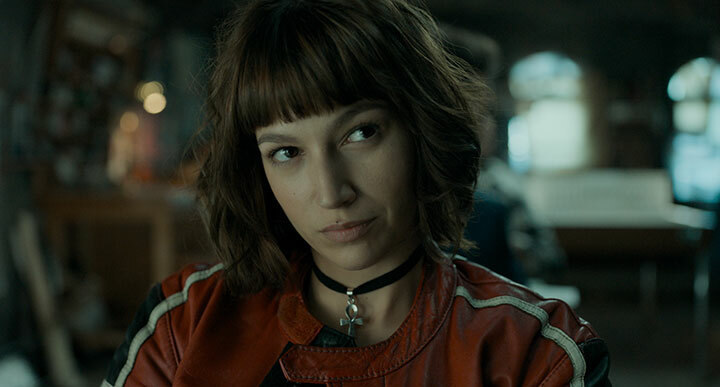 Another problem was that the heist genre is largely aimed at male cinema-goers – so how did the writers look to draw female viewers to the series? The answer lay in telling the story largely from a female perspective. 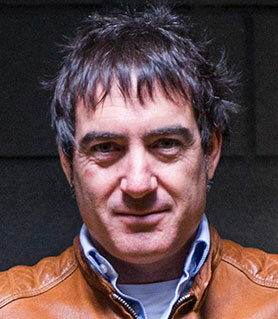 The other most notable female characters are Raquel (Itziar Ituño), the police officer who leads the investigation into the heist and unwittingly becomes close to the Professor; and Monica, an employee at the Royal Mint who is initially held among the hostages but becomes involved with one of her captors, Denver (Jaime Lorente). More important than the plot, however, is the band of morally ambiguous characters – all given city codenames, like Tokyo – at the centre of the story. While on the surface this appears to be a story of good versus evil, pitting the police against a group of career criminals, characters on both sides of the fence are not as you initially perceive them to be. It is arguably Berlin (Pedro Alonso), in particular, who changes the most, shifting from the crazed ringleader inside the Royal Mint and the Professor’s right-hand man to become one of the series’ most loved characters. 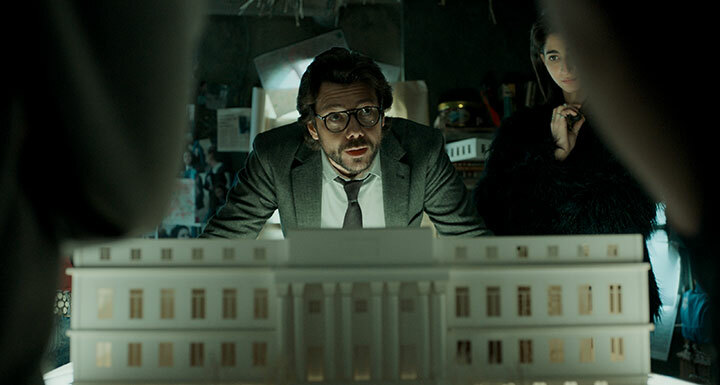 It’s an approach that is employed for every character in the series, with shades of light and dark applied to each so they are both relatable and immoral at various moments of the series, from the scheming yet charismatic Professor and the strong yet vulnerable Raquel to each member of the gang holed up inside the Royal Mint. The show’s two-part structure was born out of financial necessity, Pina reveals, admitting “we didn’t have a lot of money.” Production was split between shooting scenes featuring the Professor and the police with one unit and events inside the Royal Mint with another. While seasons one and two make up one complete story – earning a Golden Nymph award for best drama TV series at the Monte Carlo Television Festival earlier this month – with a solid resolution to the events that have taken place during the series, Netflix has ordered a third season that will see the Professor develop new heists. It is set to air in 2019. And when it comes to potential spin-offs, Pina says that’s for the streamer to discuss. “They’re very happy with it and believe it has lots of possibilities,” he says. “They believe that either Berlin or Tokyo can have their own universe, but I don’t have any more information. It could possibly work back in time; it could be a prequel.